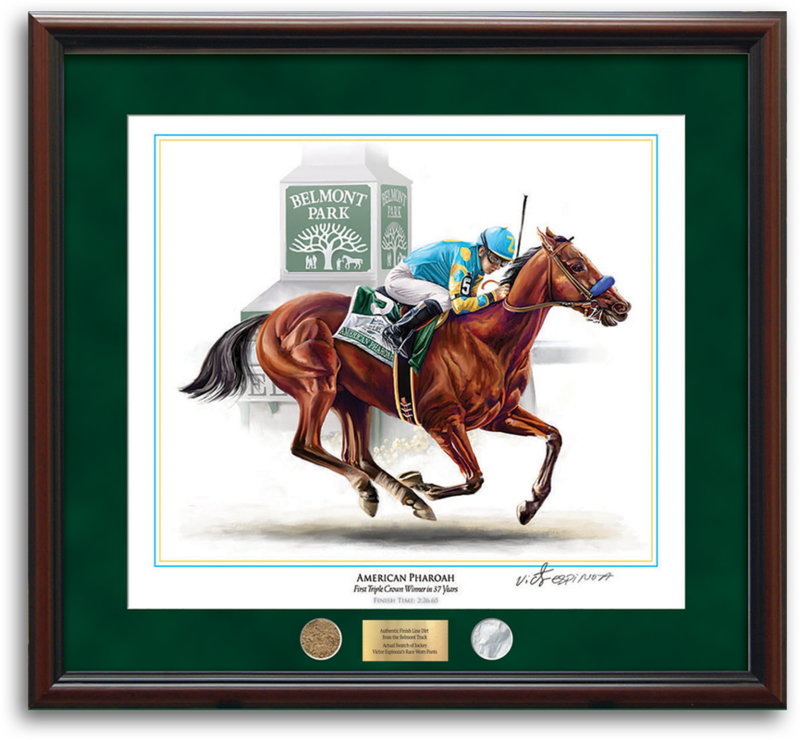 The world’s top selling poster artist has immortalized American Pharoah and his historic Triple Crown victory. Considered by many to be the ultimate American Pharoah treasure. This limited edition lithograph has been individually numbered and personally hand-signed by Victor Espinoza and artist, Michael Hunt. THE ULTIMATE TRIPLE CROWN TREASURE! Limited to ONLY 100 worldwide! Each framed print will arrive with a capsule of Belmont “Finish line dirt” and a first in history - an actual swatch of Victor’s race worn pants! !